Comments and picture contain SPOILERS! Beware for those who haven't read the latest chapters! you guys are baaaaaad, very very baaaaad, but you're all rocks! and I still love them that much! haiya! my current avatar! (drawn by :devk0u-chan Just, who the bloody heck are you!!!??? Tobi is mentally unstable! Bad boy! I wonder, how long did he take to dress his hair, un? Without him, Akatsuki became so dry un Please come back Dei~! The first thing I thought of once I was done queeing was that they look so young! Very well done, though! Wow! this is really good nice work! Awww!!! 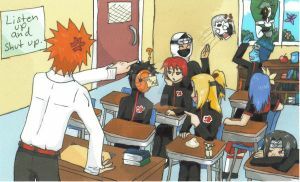 Deidara-senpai lokks like a girl!!! (as always lol) I love dis pic btw!!! I plan on getting a tattoo sleeve, and I was wondering if I could get this tattooed? If this is an original done by you, I feel it's right to ask first before getting anything done. I don't need my arm chopped off and confiscated for copyright. This is really beautiful! The colors are really awsome! Oh! I love Tobi! He looks so insatiably evil: it's uncanny! 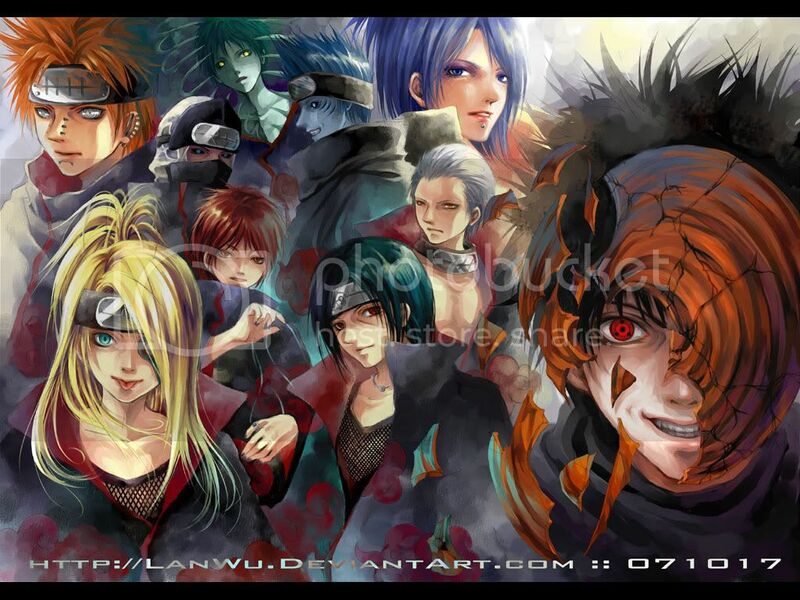 konan is s prety! but deidara looks too girlish. and so does itachi. have ever seen itachi smile before?? ?